Adjustable height of 3.25" to 5"
The Safco RestEase Adjustable Footrest is a perfect piece of addition to any work and home environment. It features four angle adjustments for versatility, providing users with multiple repositioning to cater their needs. 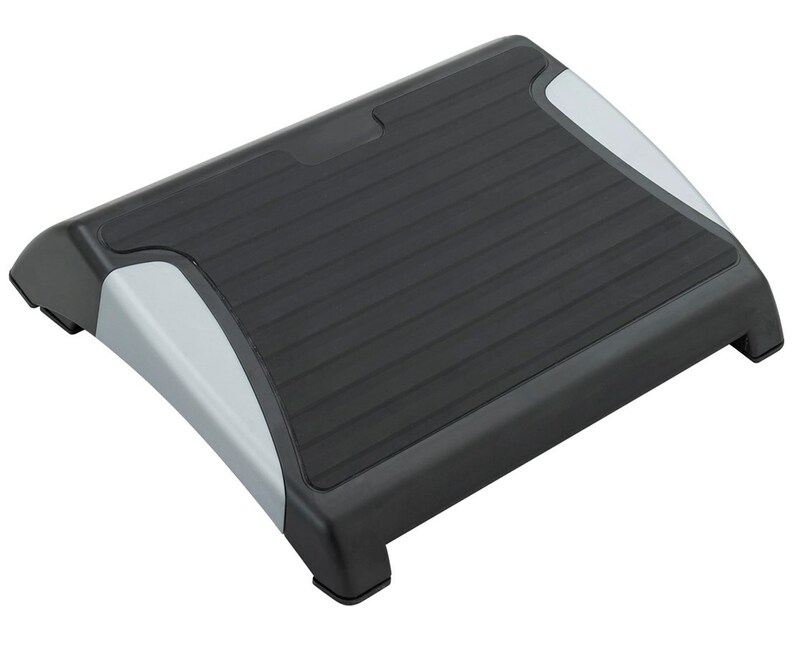 An anti-slip rubber mat is also one of its features, to provide safety for the user. Its height can be adjusted from 3.25 to 5 inches, while the tilt can be moved from 6 to 25 degrees. 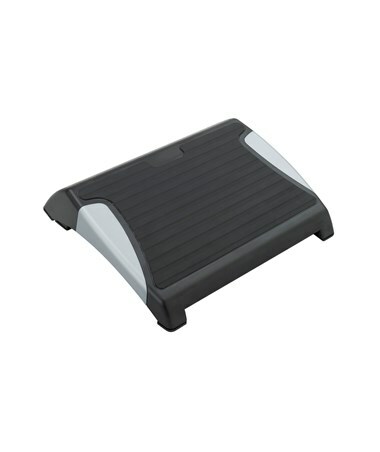 This adjustable footrest is made of rubber and high impact polystyrene plastic (HIPS). It comes in five units per package.